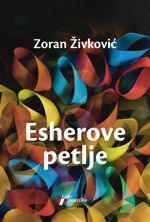 Once again Zivkovic demonstrates the sheer power of storytelling in this complex cycle of interlocking narratives. 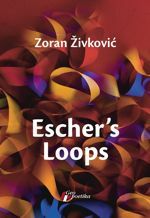 Like one of Escher’s drawings, the narrative threads lead one through a dizzying labyrinth of recurring themes, images and characters, all of whom are linked with elegant mathematical precision: God and suicide, food and poison, monks, athletes, soldiers and soccer players all take their places in the circle-dance. Absurdity, surreality and humour abound; death is the ultimate destiny, yet always the next story offers infinite ways of escape. The surgeon had just dried his hands in a stream of hot air from the hand dryer next to the wash basin, pulled on his gloves and headed for the operating room, when a sudden recollection made him stop in front of the double glass door. Even though he was urgently awaited inside, the thought disconcerted him so much that he was rooted to the spot. Those who knew him better would certainly have assumed that he’d remembered the incident he most wanted to forget. It was the only stain on his career. He’d left a pair of surgical tweezers inside a patient. There was no excuse for this oversight. What could he say in his defense? That he’d been captivated by her face and couldn’t keep his eyes off her? The anesthesia had seemed to bestow an angelic quality on the beautiful young woman. Mentioning this enchantment as the cause of his distraction would only have aggravated his position. But the surgeon was not thinking of this mishap just then, although it had happened in the room he was about to enter. Something else, considerably less unpleasant, had flashed across his mind, although there was no obvious reason for it. He had gone to a colleague’s wedding because he hadn’t been able to get out of it. He didn’t like weddings and even preferred funerals to them. Had anyone asked him why, he wouldn’t have been able to explain. He found weddings repugnant, a perversity that embarrassed him. Indeed, what opinion could a doctor have of himself when he gave death priority over life? In order to hide his bad mood, he’d acted out of character. A smile was stuck permanently on his face and he was annoyingly affable. As the wedding party gathered in front of the church, he struck up intimate conversations with people he hardly knew. He inquired after their health and offered advice even to those without any complaints. Since he was a reputable surgeon, everyone was grateful to receive his free counsel, even those in the pink of health. He was relieved when they started to enter the church because this gave him a break from his feigned good humor. His face darkened, but he knew that as soon as they came out he would have to reassume a cheerful mask and keep it until late in the evening. Engrossed in somber thoughts, he failed to notice that the ceremony was delayed. He realized that something was wrong from the commotion around him. Heads drew together as people whispered to each other. Shorter guests behind him craned their necks to get a better look at the altar where the wedding couple, best man and maid of honor were standing. Although he was right up front, it took a few moments before he detected the cause of the trouble. There was no trace of the priest. The bride’s agitation was clearly apparent even from her back. The bridegroom shrugged his shoulders helplessly and turned this way and that, but there was no one to give him an explanation. Who knew how long the uneasy tension would have lasted if the bride hadn’t suddenly raised her veil and stamped her foot on the stone floor. The blow of her thin heel resounded like an explosion in the echoing church. Everyone suddenly fell silent. She turned around brusquely and for some reason fixed her eyes on the surgeon. Words were not necessary. As though receiving a strict military order, he practically ran to the back of the church to see what was holding things up. The surgeon knocked but received no reply. He waited briefly, then entered uninvited. A completely unexpected sight awaited him in the priest’s little office. Most of the space was taken up by a massive pool table. The priest was standing motionless, bent all the way over it, holding a cue aimed at the white ball. All he had on below the waist were checkered long johns, black knee socks and slippers. It was not until the surgeon cleared his throat that the priest snapped out of his paralysis. As he quickly put on his pants, surplice and shoes, he tried to justify his behavior. He always played a bit of pool before a wedding ceremony. By himself and half-dressed. It was the best way to relax. This was the only ceremony that gave him the jitters. Hitting just two or three balls into the pockets was enough to calm him down. This time, however, as he swung the cue for the third time he suddenly remembered something and went stiff. There was no time to satisfy the surgeon’s curiosity. The priest was to blame for the wedding ceremony’s late start. As soon as he had tied his shoelaces, they rushed out of the room. As they approached the altar, the priest’s face turned penitent. The bride’s stamping heel rang ominously in the church. He mumbled something unintelligible in apology. The ceremony started at once and proceeded without a hitch. The bride’s good mood returned as soon as she said “I do.” On the way out of the church she was radiantly happy, as though there hadn’t been any delay. Had the surgeon known the priest better, no explanation would have been necessary. He would have assumed that the priest had recalled an event of twenty-six years ago, just after his appointment to this church. He was looking forward to the first wedding that was to install him officially in his duties. It had been scheduled before his arrival so he still hadn’t had a chance to see the bride and groom. When the wedding couple appeared before him he was thrown completely out of kilter. The face he glimpsed through the transparent veil took his breath away. He knew he shouldn’t stare at the bride, but his eyes kept coming back to her. When the time came to start the ceremony, his memory failed him. He stood there helplessly, mouth half-open, eyes fixed on the veil. Tension rose and his agony along with it, but he was unable to break the spell. When the bride, groom, best man and maid of honor started to look at each other in surprise, he finally managed to regain just enough control of himself to turn without a word and run to the priest’s office. Disaster was avoided owing to the fact that the recently retired former priest was in the church. He finished the ceremony that had barely started and then did his utmost to make allowances for his colleague. He ascribed the priest’s disorientation to the jitters and lack of experience. When the wedding party left, he spent a long time consoling the young priest, telling him that something similar had happened to him as well at the beginning of his service. The young priest felt better when he realized that no one had caught on to the cause of his embarrassment. He followed his colleague’s advice about finding something to reduce his agitation before the ceremony. The retired priest, who used a pinball machine for the same purpose, saw nothing wrong with fulfilling the young man’s wish to have a pool table in his office. He even used his influence to get a good price for a used table.